All Ways Moving & Storage® are your Morgantown movers of choice. 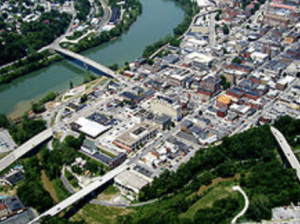 We are a full-service moving company serving Morgantown, West Virginia and the surrounding areas. Situated along the banks of the Monongahela River, Morgantown, WV is the largest city in the northern part of the state. Home to the West Virginia Mountaineers, Forks of Cheat Winery, and Morgantown Farmers Market, there is always an opportunity to take in the beautiful scenery of West Virginia. Whether you need to move down the block, across the country, or around the world, All Ways Moving & Storage® is right there when you a Morgantown mover. Our comprehensive moving services ensure that you have the experienced personnel on hand to facilitate all aspects of your move. Our Morgantown movers are experienced and qualified and our company is fully licensed and insured for your peace of mind. When you use a moving service, you are entrusting that company with all of your belongings, so isn’t it best to use a trusted local company that has your best interests in mind? You can rely on our family to protect what matters most to yours.